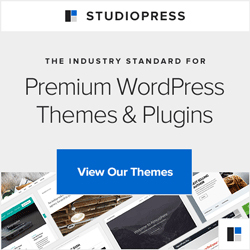 Several times each week we hear from an expert on the “top ten WordPress plugins” or the “WordPress plugins every blog MUST have” and “Your blog will self-destruct without these ultimate, top, best 67 WordPress plugins”. OK, I made that last one up, but you get the picture. There are some standards that appear on most of these lists, but it can get a bit daunting, or you may feel a little like a kid in a sweet shop and want all of them (which is tempting, I know – but keep in mind that it’s best to deactivate them all whenever you upgrade WordPress, and then reactivate one by one). Akismet – this is installed with WordPress as standard, for a very good reason. Take the time to activate this and get your API key. While you’re about it, I’ve started adding in the WordPress.com stats – you’d may as well, as you have the API key (just do it and you’ll see what I mean). I generally also install Google Analyticator, for in-depth information on what your website visitors are doing. WordPress Database Backup is another essential – install and set this to backup regularly. I have mine emailed to me once a week. CryptX is a good tool – this then means you don’t have to faff about or worry about protecting your email addresses – this plugin does it for you. So why have I not included links to all of these? The simplest way to install a plugin is within your WordPress Dashboard – Plugins, Add New and search for the above. You will soon notice that there is a plugin for just about anything you might want to do with your WordPress. Take your time and explore – you can always deactivate anything that you find to not be useful for you. And look around at new plugins now and then – wonderful geeks are always looking to create better functions for us. If there is a specific desire, as well as searching WordPress, do a search on Google – not all plugins are listed with WordPress (though I personally trust the latter more readily) and you may find a gem. Feel free to ask Babs too – if I don’t immediately know of a solution, I can often ask the questions that can uncover what is needed.